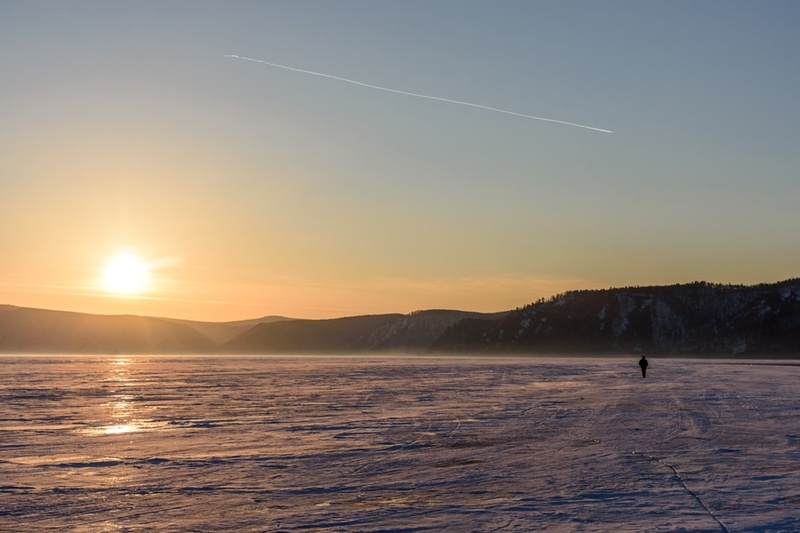 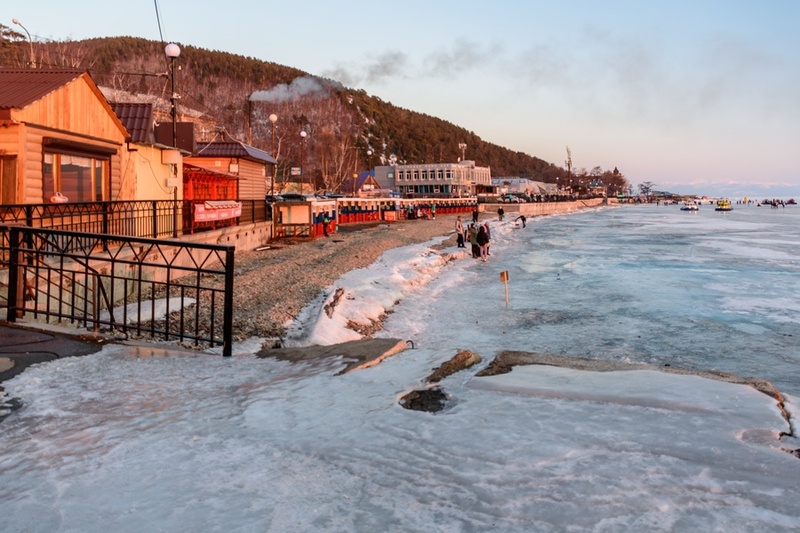 A few kilometers from Irkutsk and its international airport, Kultuk and Listvjanka are the main access gates to southern Baikal lake, from where cruises, hovercraft or 4x4 vehicles depart to explore the Baikal lake. Kultuk is a village of just under 4,000 inhabitants that rises along the south-western end of Lake Baikal, making it one of the main access gates even from a tourist point of view. 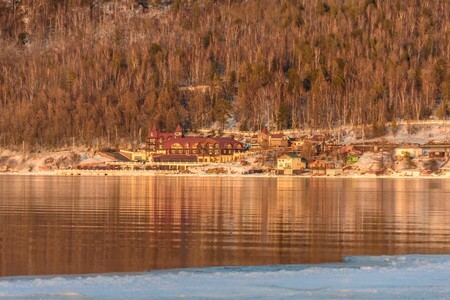 Kultuk is located about 100 kilometers from Irkutsk, with a journey time of about 2 hours by car along a paved road in good condition and is also served by the Trans-Siberian railway and the Circum-Baikal tourist railway, which connects Kultuk to the village of Baikal, not far from Listvjanka. 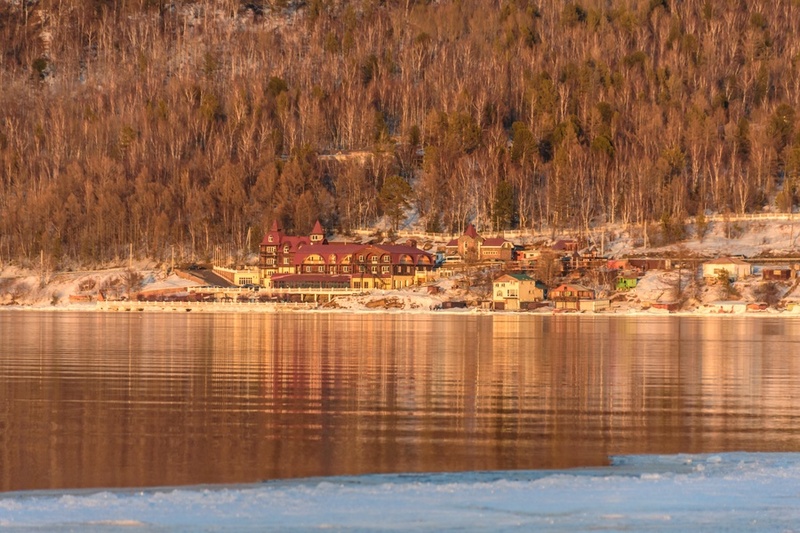 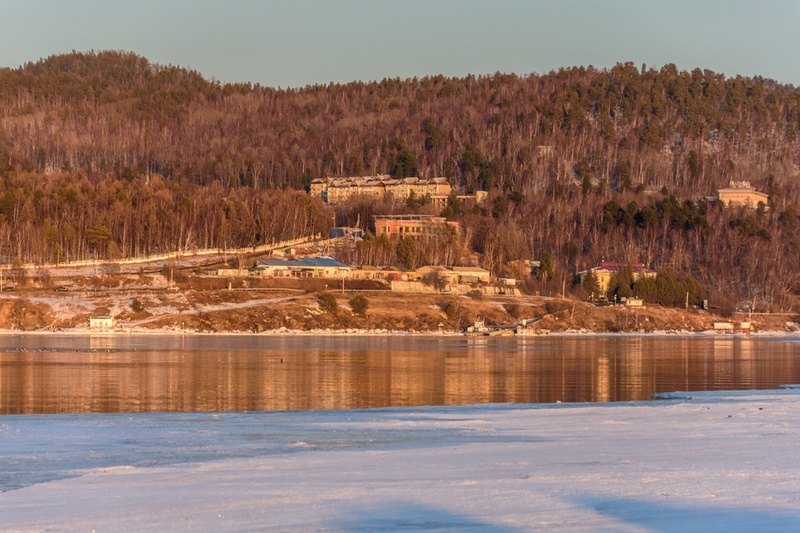 Listvyanka is another important village and gateway to Lake Baikal, which is located not far from the emissary of the Angara river, just 70 kilometers from Irkutsk, for a journey time of about an hour by car along a paved road. 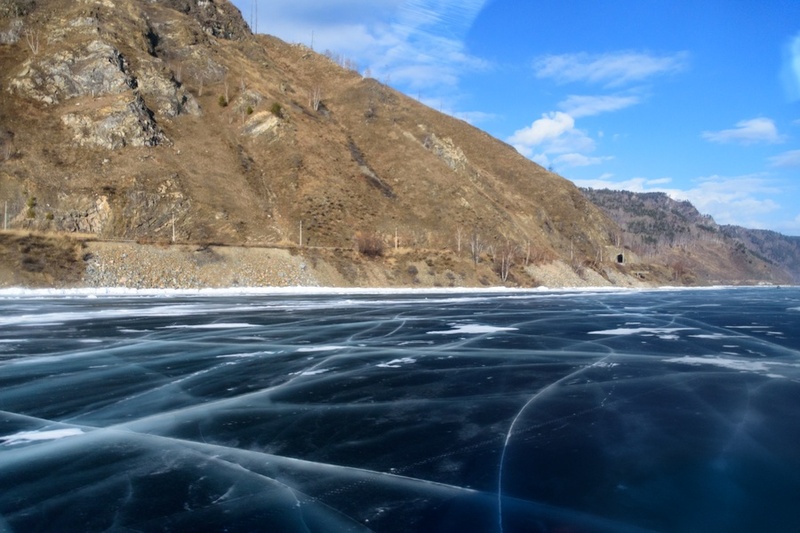 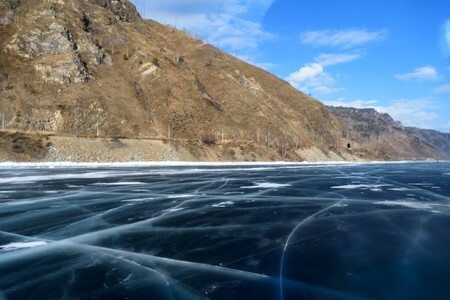 In addition to the Circum-Baikal railway, it is possible to visit this part of Lake Baikal, moving between Kultuk and Listvjanka by various vehicles, depending on season and ice conditions. 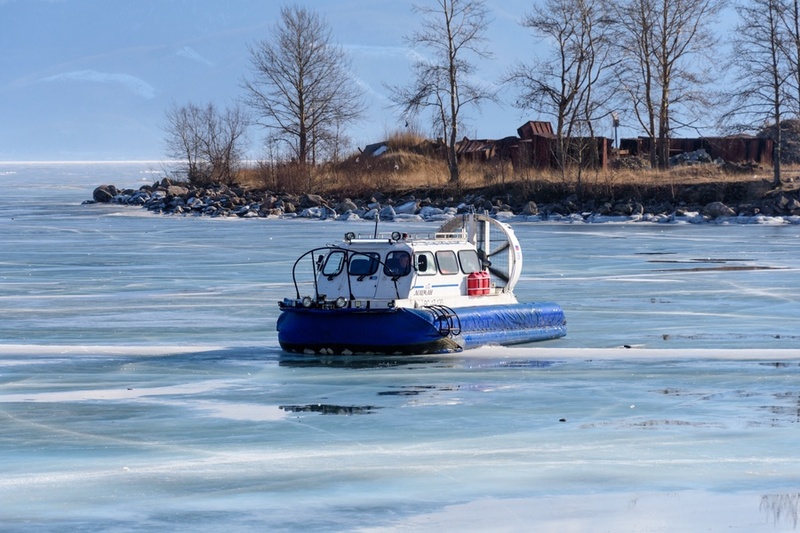 During the second half of the winter, usually the ice is safe enough to travel aboard normal 4x4 cars with suitable tires, or using an hovercraft, a vehicle supported by an air cushion and moved by a large propeller, very safe on a wide variety of surfaces. While the ice thaws, ships with reinforced hull can be safely used, while in summer normal motorboats or small cruise ships are perfectly suitable. Today we move from Kultuk to Listvjanka using an hovercraft, which can cover the distance of 100 kilometers between these two locations, in just 3 hours including the stops in the most beautiful places to walk on the ice and admire the landscape. 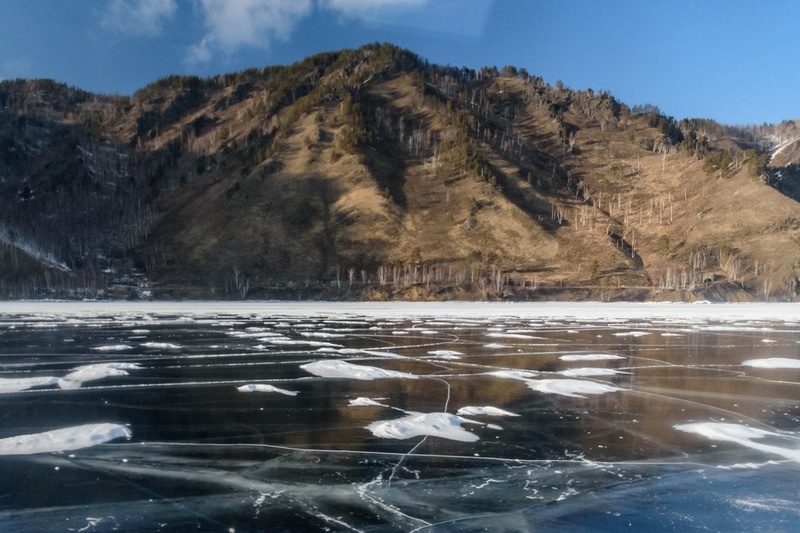 Kultuk is located at the southwestern end of Lake Baikal and is an important railway junction between the Trans-Siberian and the Circum-Baikal railway that runs along the lake for just under 100 kilometers. In the background, the Baikal ice mostly clear and without snow on top. 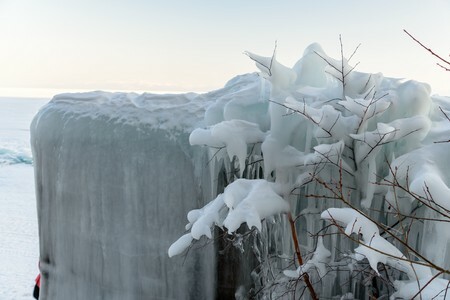 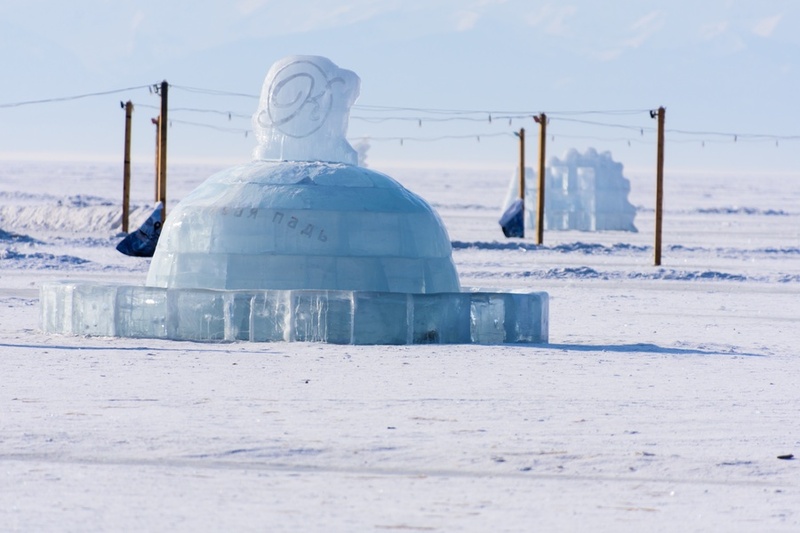 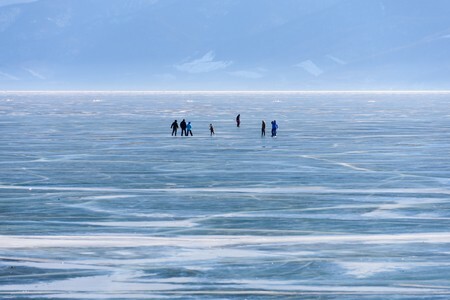 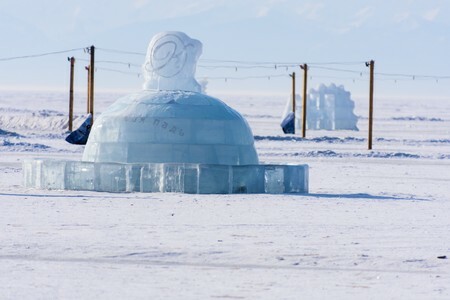 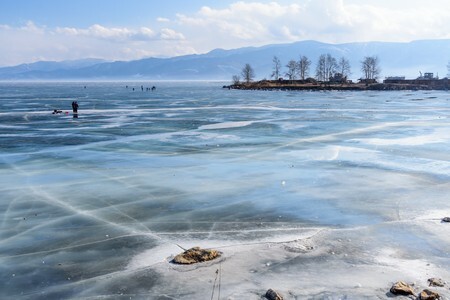 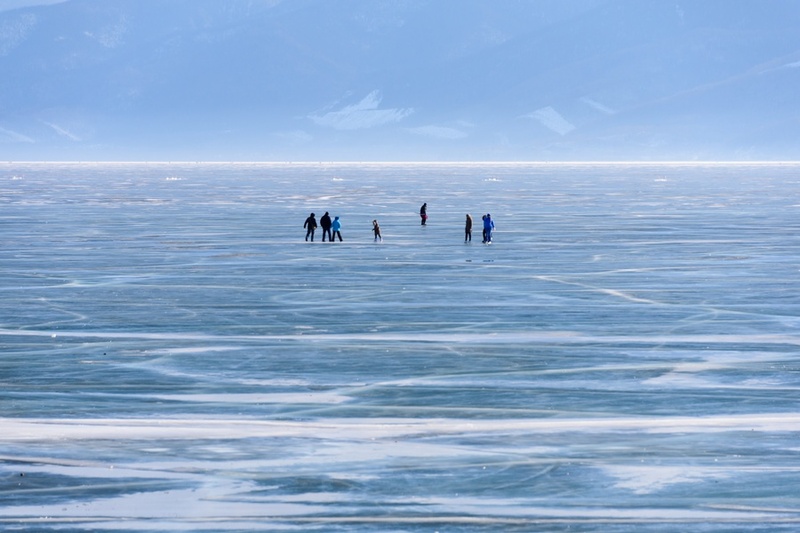 At the beginning of March, Lake Baikal is completely covered by a thick layer of ice where tourists and locals enjoy skating. 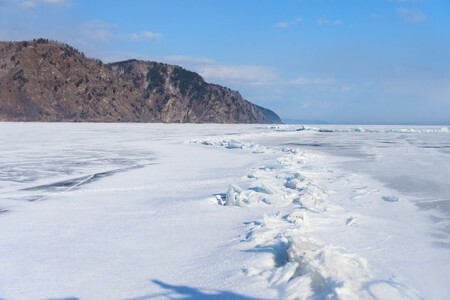 Curiously, and this is one of the most striking features of the Baikal at the end of winter, there is no snow over the ice, as this is swept away by the wind or melted during the progressively warmer and sunnier days (the quantity of snow here is very limited also because this is a kind of sub-arctic desert with very few precipitations in terms of both rain and snow). 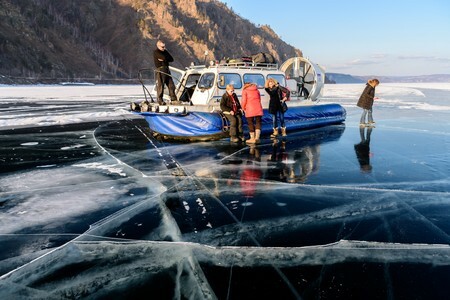 The hovercraft is the ideal way to travel over Lake Baikal's ice in winter and in total safety. The vehicle is supported by an air cushion and is propelled by a large fan on the back. It can travel smoothly over pure ice, snow and water. 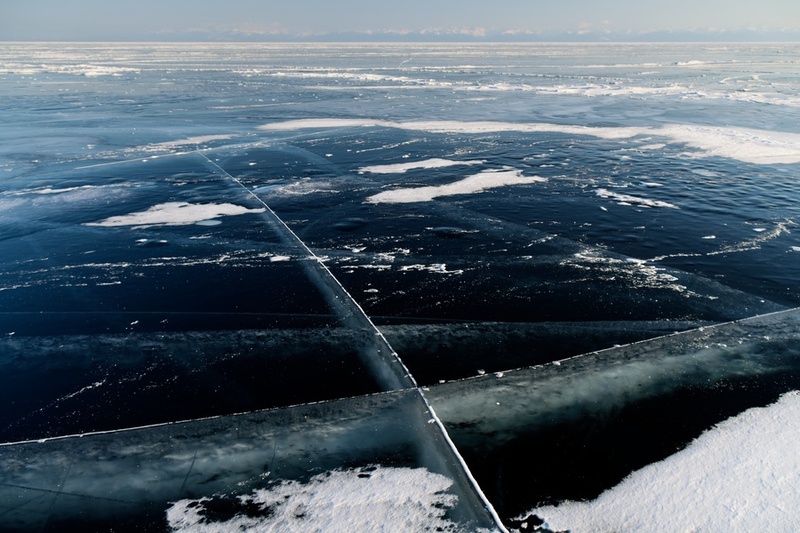 Supernatural landscapes follow each other from the window of the hovercraft, with wide expanses of ice without snow on top. 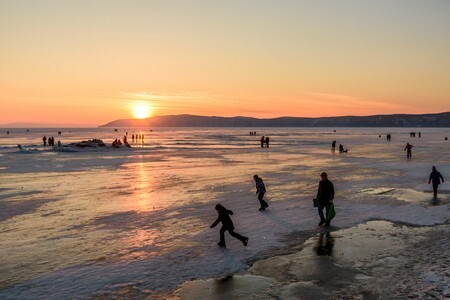 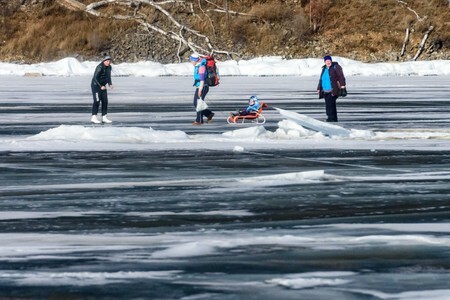 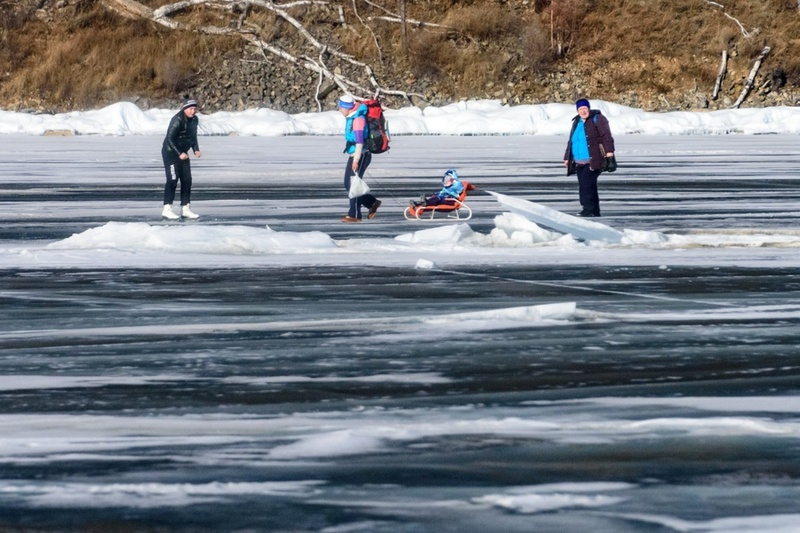 Local inhabitants enjoy the Baikal's ice with their children and dogs, hiking and skating around. 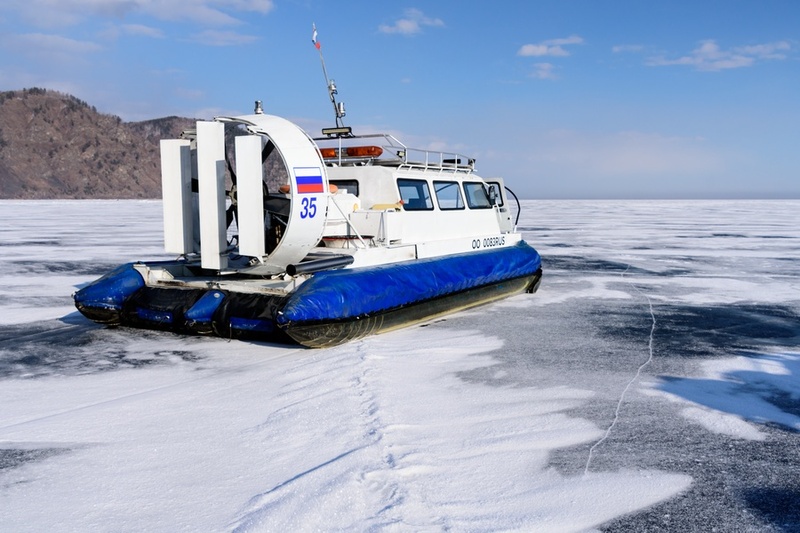 The hovercraft can cross easily and without any danger also the numerous fractures on the ice created by the enormous pressure. Areas covered by snow (actually ice crystals so light that you can blow them away) alternate with perfectly smooth and clean ice, while occasionally, picturesque cracks compensate the enormous pressure among the immense ice sheet. 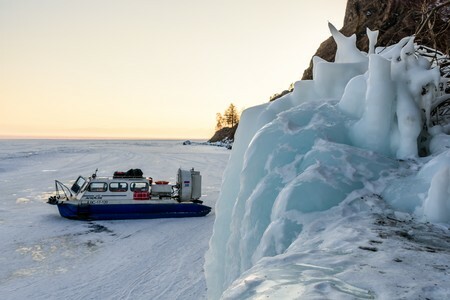 The hovercraft makes a stop in a place with particularly clean ice, for a pleasant walk to discover this quite surreal and intriguing place. 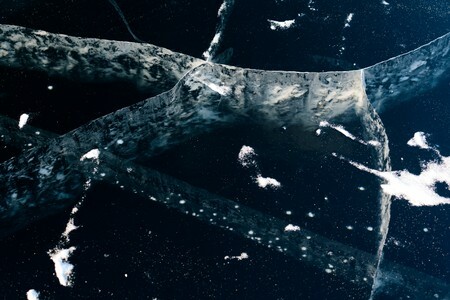 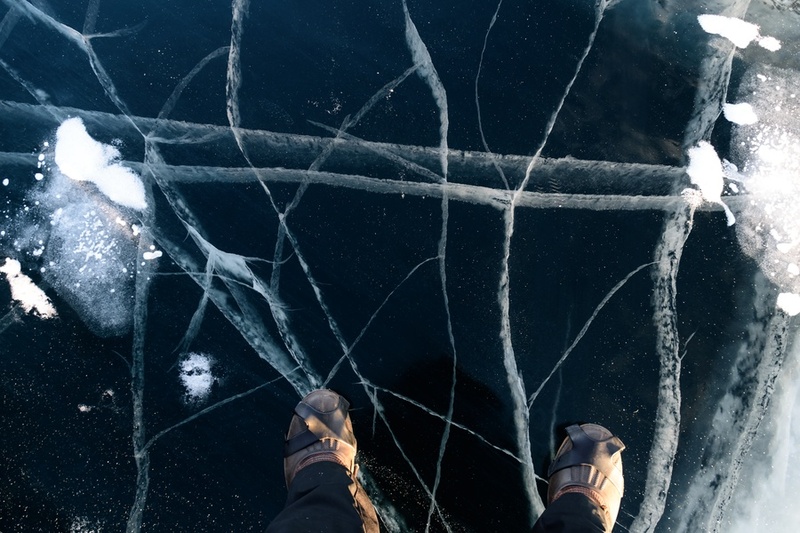 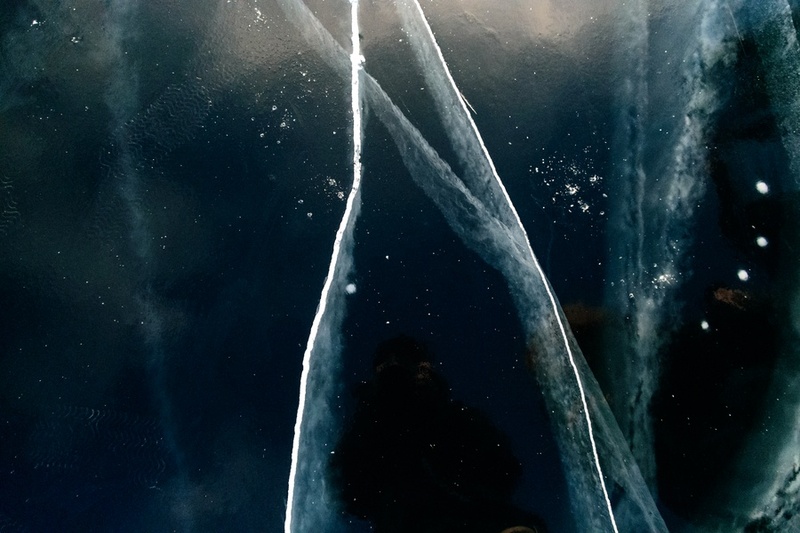 Walking on the ice of Lake Baikal is a unique experience and visitors would spend hours admiring all the veins and cracks in the ice: some are extremely chaotic, while others are so precise, with straight lines perpendicular to others, that seem to be traced by aliens. 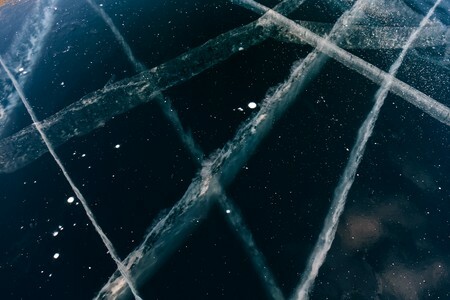 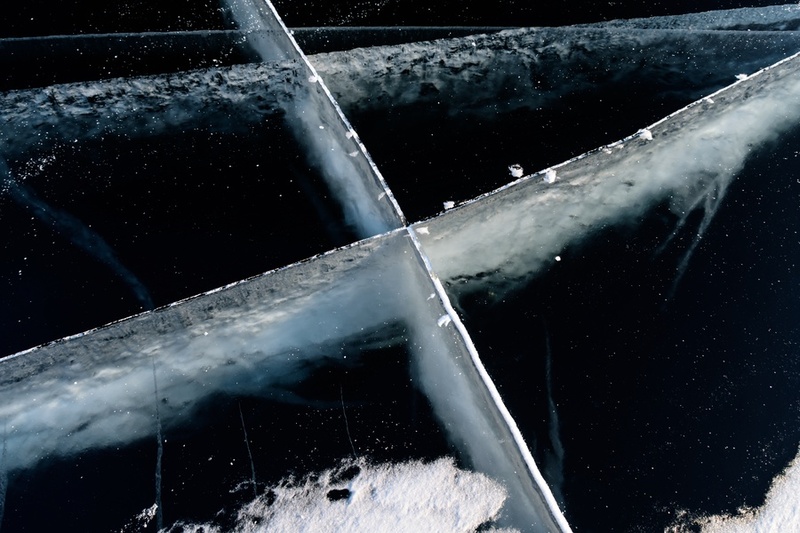 The surface of the ice is extremely smooth and looks like a sturdy armored glass. 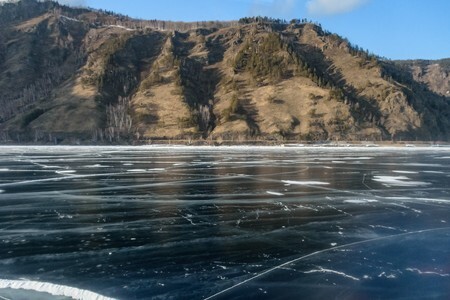 Due to the incredible transparency of the ice (the Baikal has one of the purest waters in the world) and due to the depth of the lake, which reaches hundreds of meters already very close to the coast, the ice appears black. 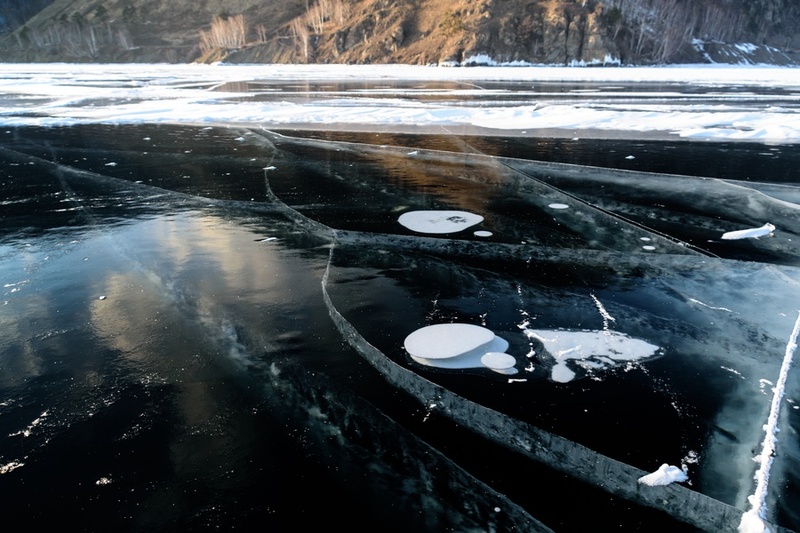 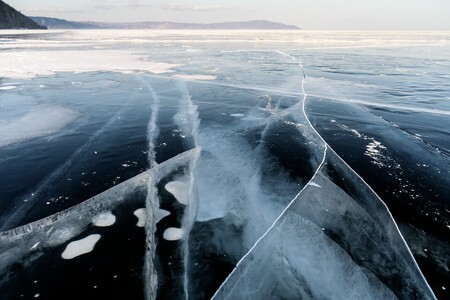 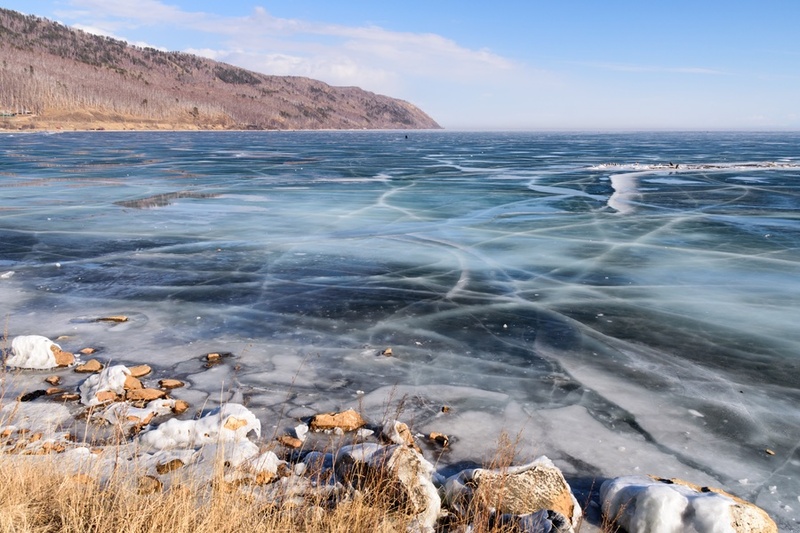 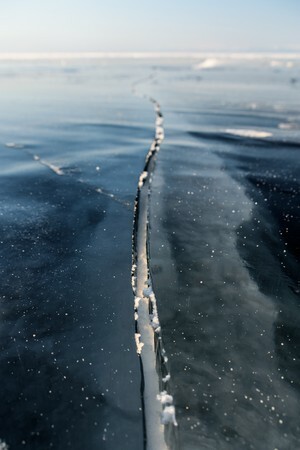 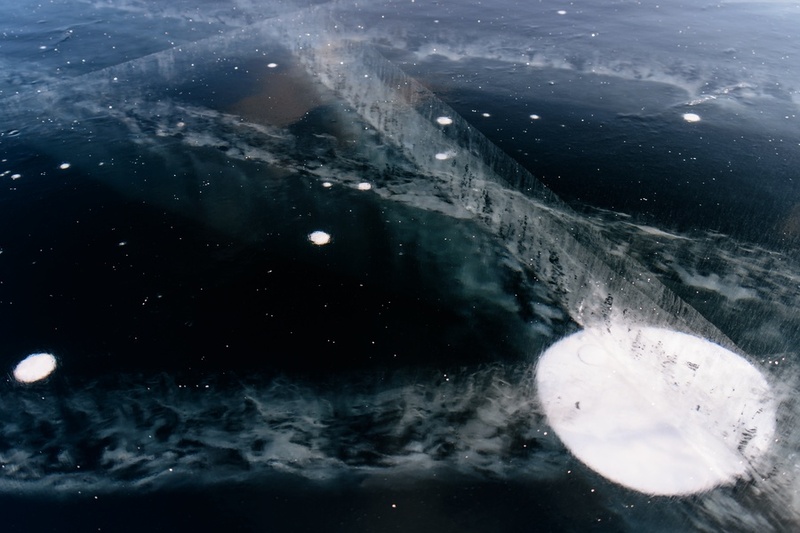 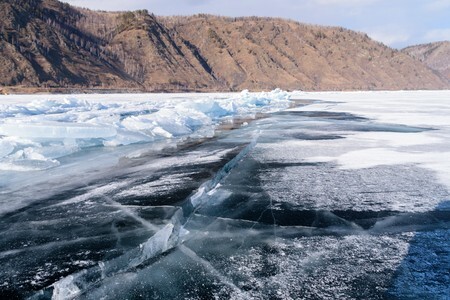 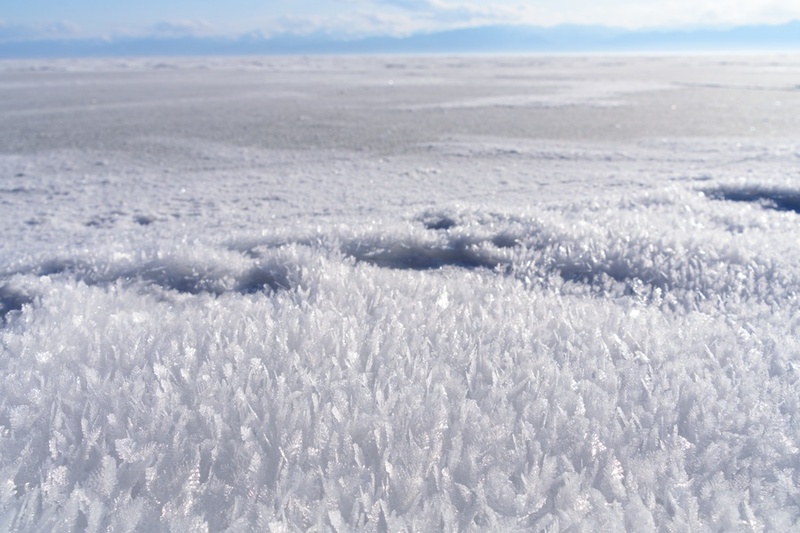 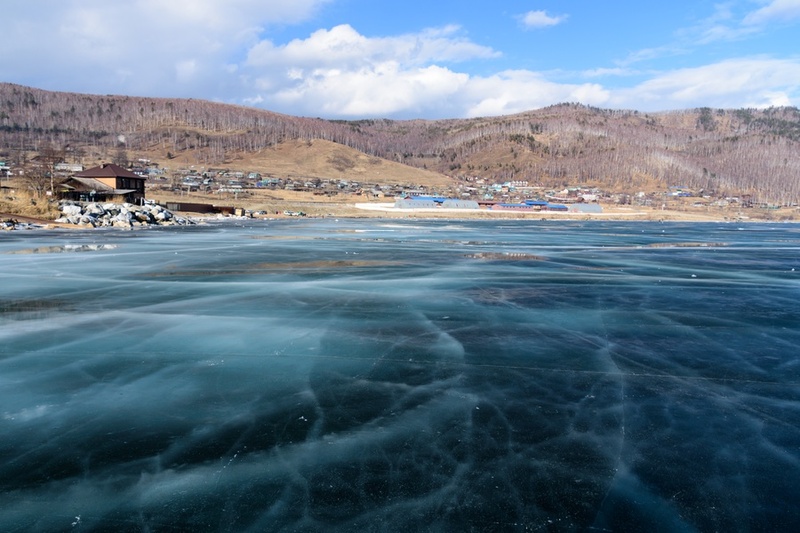 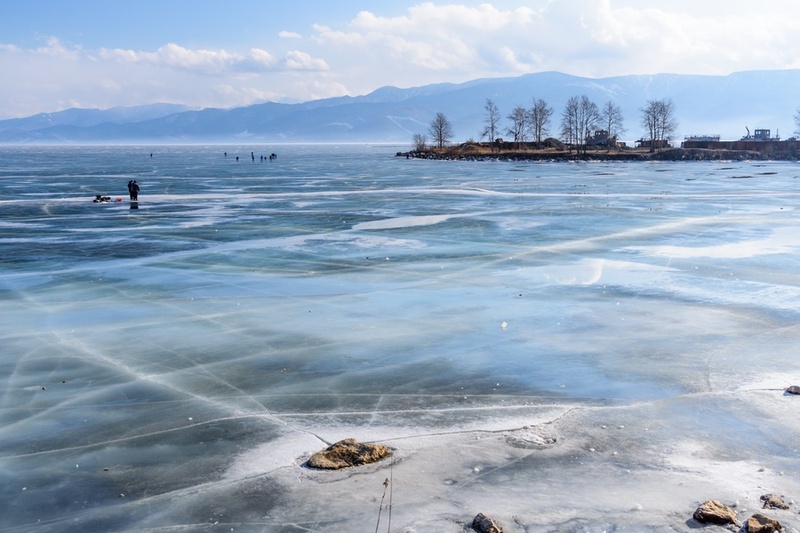 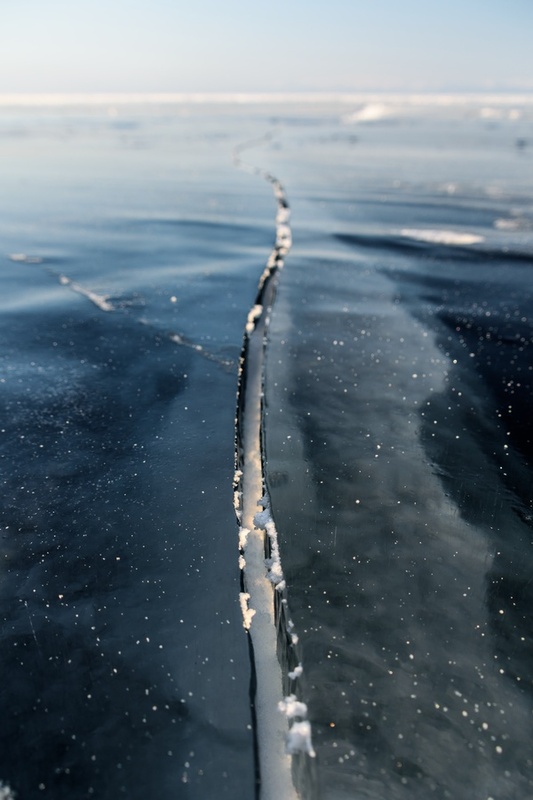 A peculiarity of Lake Baikal's ice are the methane bubbles trapped in the ice itself, which can be identified by white incursions: sometimes the locals make a hole with a drill, push a straw in it and set it on fire. 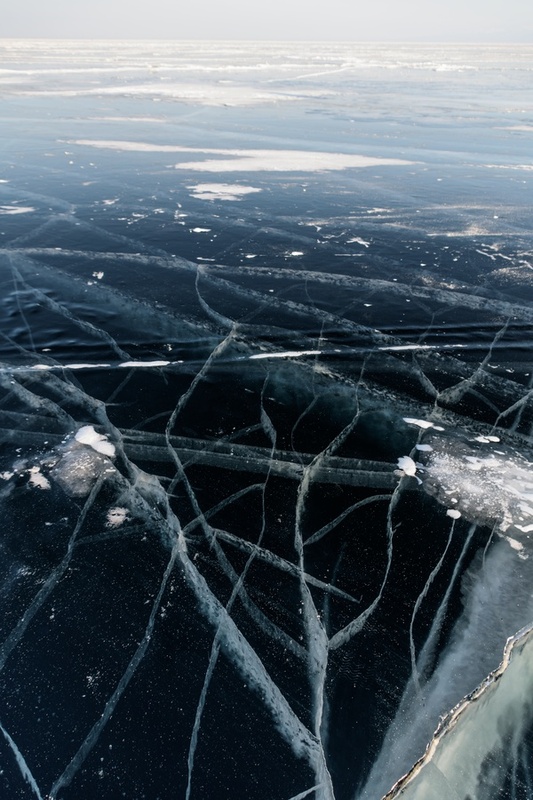 The beautiful veins and cracks onto the frozen Lake Baikal. The next stop is along the Circum-Baikal railway and close to an embankment built to protect the railway from the erosion. 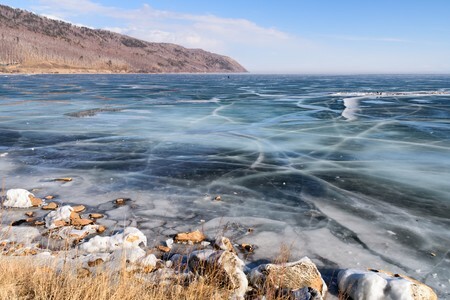 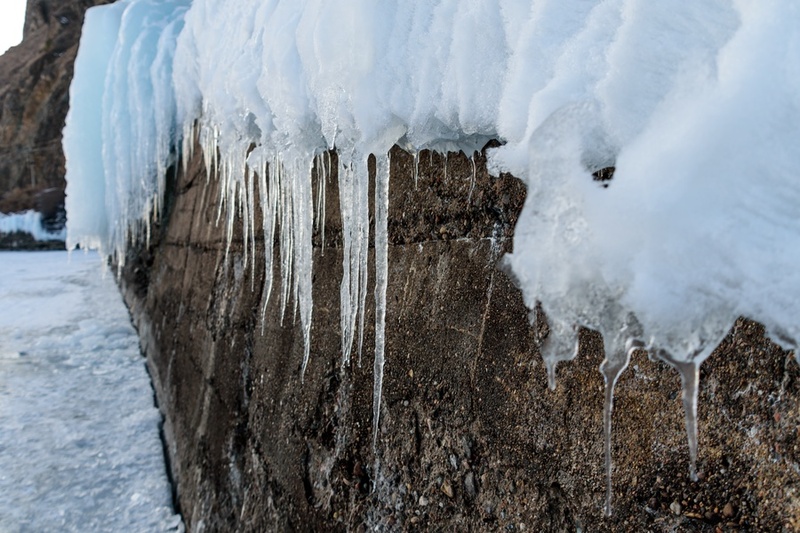 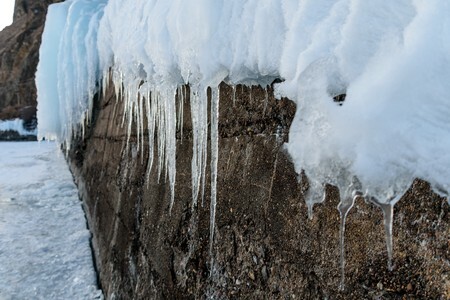 During the autumn the waves of Lake Baikal, which can exceed 5 meters in height, break along the cliffs and spray water everywhere, which instantly freezes to form icicles and other curious structures. 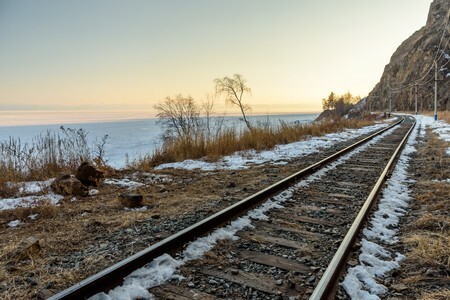 The Circum-Baikal railway is just 100 kilometers long and connects Baikal town with Kultuk, where it interconnects with the Trans-Siberian. 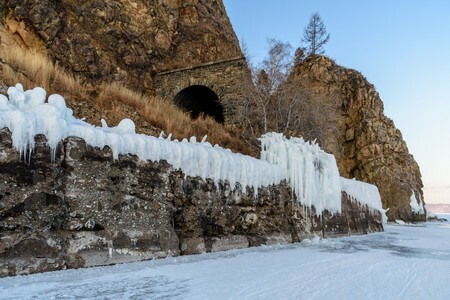 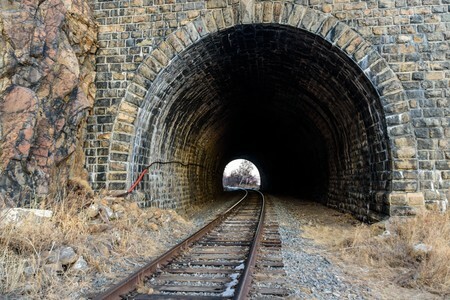 This railway winds along the south-western shores of Baikal, through dozens of tunnels, bridges and viaducts, in a geological and orographic context that has created many problems to the engineers. 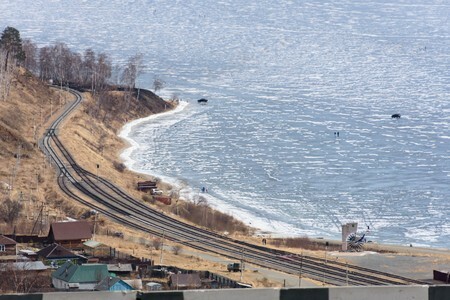 Currently the Circum-Baikal railway is used mainly by tourist trains, and for fans of historic trains there are also rides by steam locomotives. 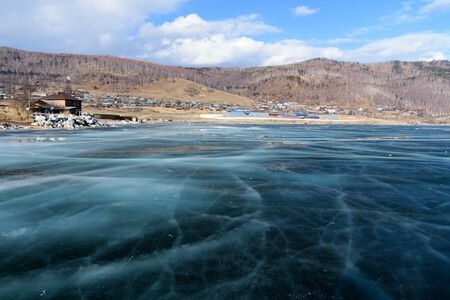 Once near Listvjanka, we can see the emissary of the Angara river which never freezes, even after many days at 40 degrees below zero, as the water is pushed into the river by a very strong current coming directly from the depths of the Baikal, where the water temperature is around +4 degrees centigrades throughout the year. The Angara River will reach Irkutsk after about 70 kilometers and it is the only emissary of Baikal Lake. 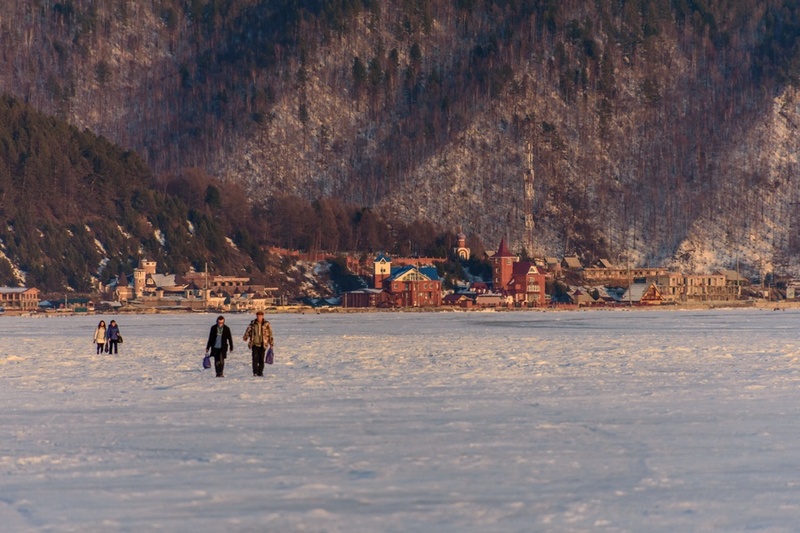 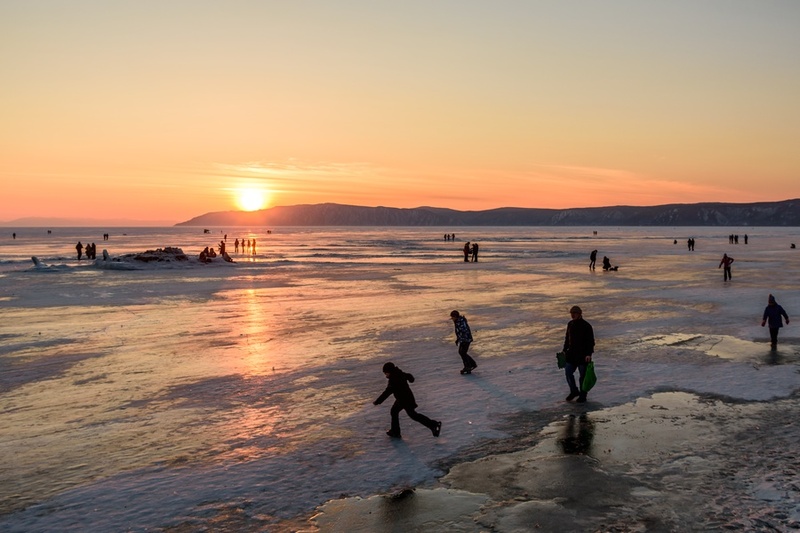 Meanwhile, under the warm light of the sunset, tourists and inhabitants of Listvjanka walk and skate on the ice. Listvyanka is a pretty village and a popular destination, as well as a good logistics base, for numerous tours and excursions to Lake Baikal. 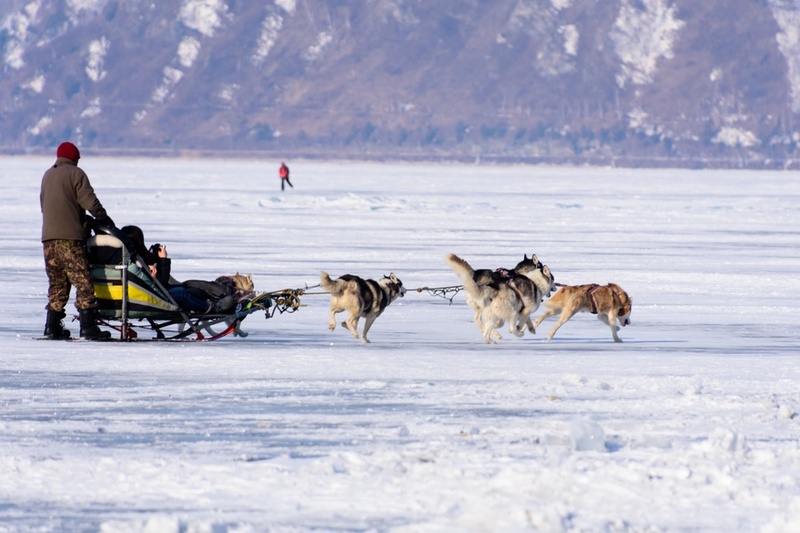 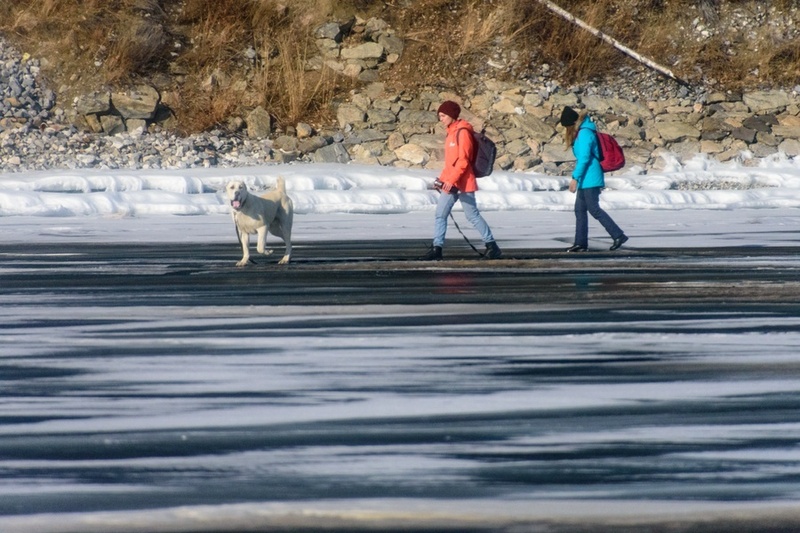 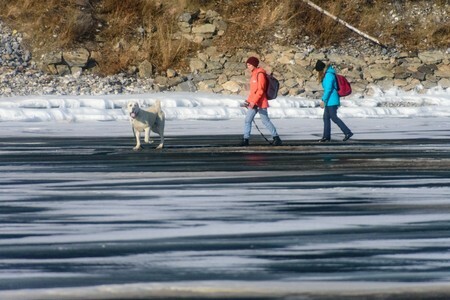 In winter, once the Baikal ice is safe, parties and ice structures are organized, while some operators also offer sled dog excursions. Where to stay in Listvyanka? 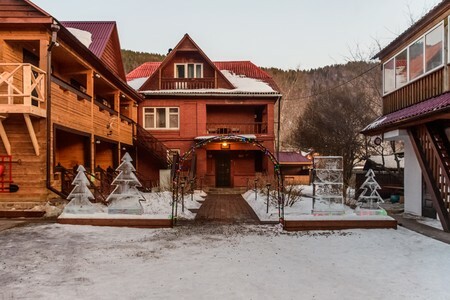 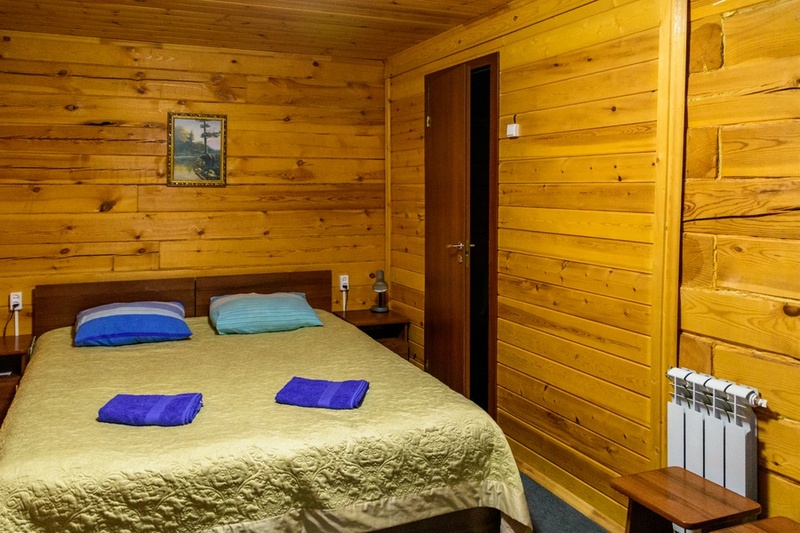 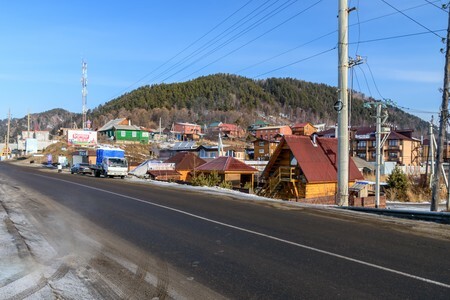 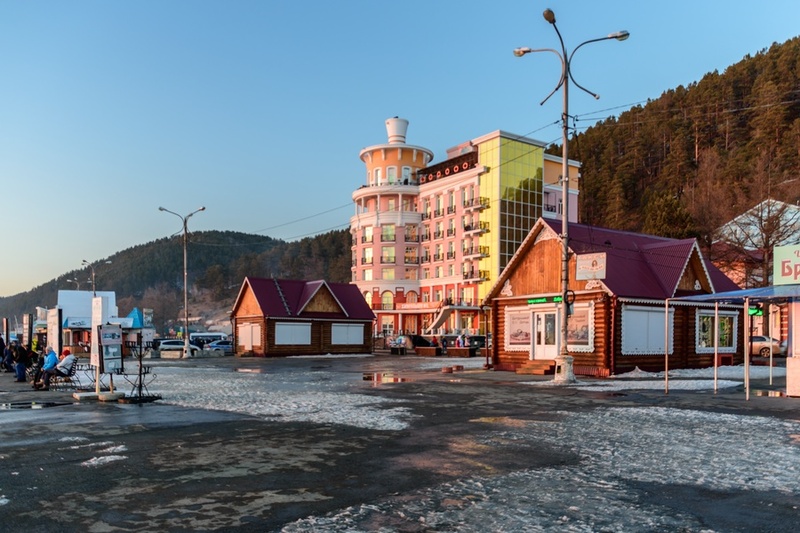 The village is a rather popular destination for those wishing to visit the Baikal and there is a considerable number of accommodation available, even of good quality, such as the Hotel Dauria.